The Border Gateway Protocol (BGP) is an Internet routing protocol responsible for exchanging network reachability information between Autonomous Systems (ASes). Monitoring and mining BGP traffic are important aspects to understand and improve the stability of the Internet. However, identifying the characteristics of BGP traffic is much harder than it seems at a first glance where BGP traffic has been identified as complex, voluminous, and noisy. In this paper, we show that BGP traffic can be understood as an aggregation of oscillations of different frequencies from different ASes. Using linear and nonlinear statistical analysis, we show that BGP traffic shows recurrent behaviour. The source of this behaviour is unsynchronised periodic behaviour from a set of ASes. Al-Musawi, B., Al-Saadi, R., Branch, P., & Armitage, G. (2017). BGP Replay Tool (BRT) v0. 2. Al-Musawi, B., Branch, P., & Armitage, G. (2015). Detecting BGP instability using recurrence quantification analysis (RQA). Paper presented at the Computing and Communications Conference (IPCCC), 2015 IEEE 34th International Performance. Al-Musawi, B., Branch, P., & Armitage, G. (2017). BGP anomaly detection techniques: A survey. IEEE Communications Surveys & Tutorials, 19(1), 377-396. Eckmann, J.-P., Kamphorst, S. O., & Ruelle, D. (1987). Recurrence plots of dynamical systems. EPL (Europhysics Letters), 4(9), 973. Elmokashfi, A., Kvalbein, A., & Dovrolis, C. (2012). BGP churn evolution: a perspective from the core. IEEE/ACM Transactions on Networking (ToN), 20(2), 571-584. Griffin, T. G., & Wilfong, G. (2002). Analysis of the MED Oscillation Problem in BGP. Paper presented at the Network Protocols, 2002. Proceedings. 10th IEEE International Conference on. Hegger, R., Kantz, H., & Schreiber, T. (1999). Practical implementation of nonlinear time series methods: The TISEAN package. Chaos: An Interdisciplinary Journal of Nonlinear Science, 9(2), 413-435. Huang, Y., Feamster, N., Lakhina, A., & Xu, J. J. (2007). Diagnosing network disruptions with network-wide analysis. Paper presented at the ACM SIGMETRICS Performance Evaluation Review. Huston, G. (2017). BGP in 2016. ISP Column. Huston, G., & Armitage, G. (2006). Projecting future IPv4 router requirements from trends in dynamic BGP behaviour. Paper presented at the Proc. of ATNAC. Kantz, H., & Schreiber, T. (2004). Nonlinear time series analysis (Vol. 7): Cambridge university press. Marwan, N. (2015). CROSS RECURRENCE PLOT TOOLBOX 5.18 (R29. 3). Stand, 29, 2015. Marwan, N., Romano, M. C., Thiel, M., & Kurths, J. (2007). Recurrence plots for the analysis of complex systems. Physics reports, 438(5-6), 237-329. Prakash, B. A., Valler, N., Andersen, D., Faloutsos, M., & Faloutsos, C. (2009). BGP-lens: Patterns and anomalies in internet routing updates. Paper presented at the Proceedings of the 15th ACM SIGKDD international conference on Knowledge discovery and data mining. Réseaux, I. (2008). Européens Network Coordination Center. Routing Information Service. RIPE NCC. Roughan, M., Willinger, W., Maennel, O., Perouli, D., & Bush, R. (2011). 10 lessons from 10 years of measuring and modeling the internet's autonomous systems. 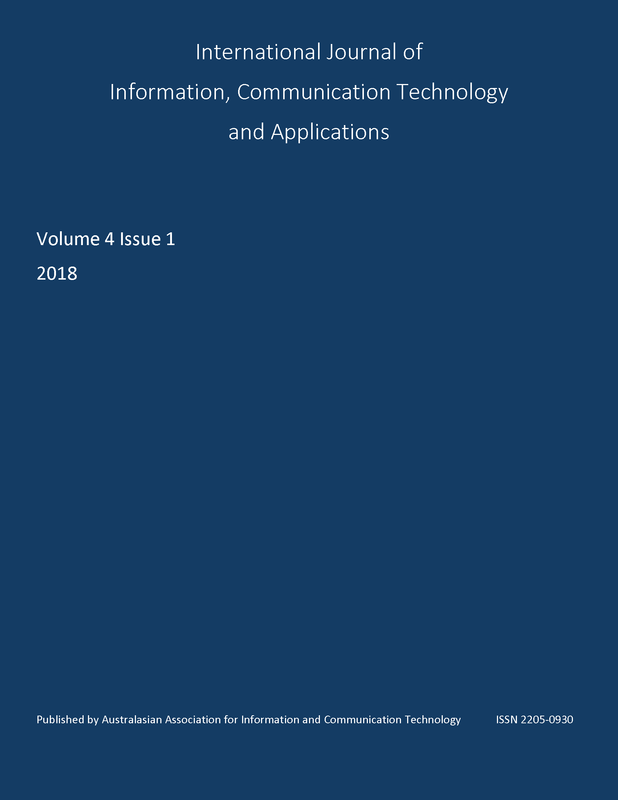 IEEE Journal on Selected Areas in Communications, 29(9), 1810-1821. Sapegin, A., & Uhlig, S. (2013). On the extent of correlation in BGP updates in the Internet and what it tells us about locality of BGP routing events. Computer Communications, 36(15-16), 1592-1605. Views, R. (2000). University of oregon route views project. Copyright Â© Australasian Association for Information and Communication Technology General permission to republish, but not for profit, all or part of this material is granted, under the Creative Commons Australian Attribution-NonCommercial-NoDerivs 4.0 Licence, provided that the copyright notice is given and that reference is made to the publication, to its date of issue, and to the fact that reprinting privileges were granted by permission of the Copyright holder.